Apple's next flagship iPhone may distinguish its anticipated key feature  a built-in fingerprint scanner  from other iPhones with an aesthetic tweak, by placing a subtle silver ring around the home button [updated with new pics]. 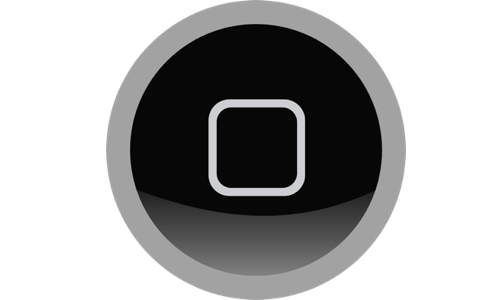 Rumors of a silver ring around the iPhone home button were first floated last month by Clayton Morris of Fox News. Appearing on the Internet show This Week in Tech, Morris told host Leo Laporte that he was "unequivocally" sure that Apple's next-generation iPhone will feature a fingerprint sensor beneath the home button. Laporte then asked Morris whether the new home button will be an "innie" concave button as Apple has historically designed them, or an "outie" convex button to accommodate an embedded scanner, as was previously claimed. "From what I've understood it's an 'innie,' and it's going to have a silver ring around it," Morris said. That rumor gained attention again this week, after Apple sent out invitations for its media event scheduled for next Tuesday, at which Apple is expected to introduce both an "iPhone 5S" flagship device, and a more affordable "iPhone 5C." The image features a number of circles in a variety of colors against a white background, and includes the tagline, "this should brighten everyone's day." But among the colorful circles are a few silver rings with plain white interiors. 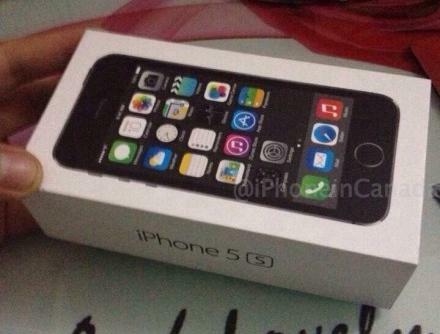 Some have suggested this could be a subtle hint by Apple about the look of the so-called "iPhone 5S." 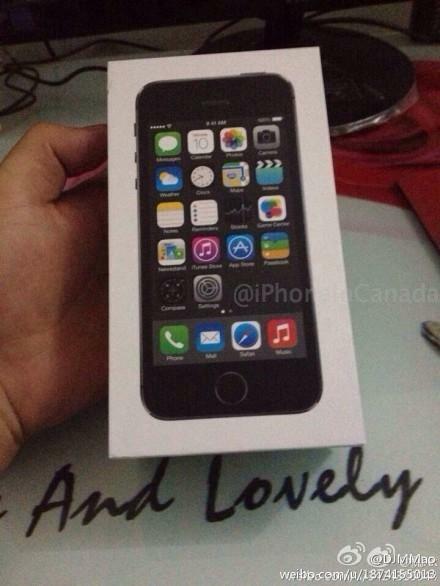 And now, on Friday, a pair of images surfaced claiming to show the final packaging for the "iPhone 5S." While the blurry photos are suspicious for a number of reasons, including the lack of a background wallpaper in the product image, they do show what appears to be a silver ring around the home button. As for what might prompt Apple to slightly alter the appearance of its now-iconic home button that's looked the same on every iPhone to date, a slight silver ring around the button may be a way for the company to differentiate devices that feature a fingerprint scanner embedded in the home button. This could be especially important for the "iPhone 5S," which is expected to have largely the same design and appearance as the current iPhone 5. To date, no leaked components have indicated that the home button will see any significant aesthetic changes. 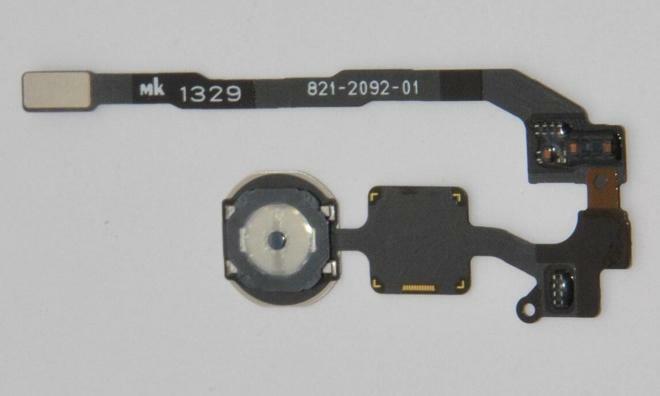 Just this week, though, an internal component claimed to be for the home button on Apple's next iPhone appeared to show a potential fingerprint sensor that could be embedded in the button. The rumored feature is believed to be powered by Apple's $356 million acquisition of AuthenTec last summer. The firm described that its "semiconductor-based sensors are based on both capacitive and radio frequency (RF) technology that detects an image of the fingerprint ridge and valley pattern beneath the surface of the skin, thus capturing sharp and clear fingerprint patterns from the live layer." 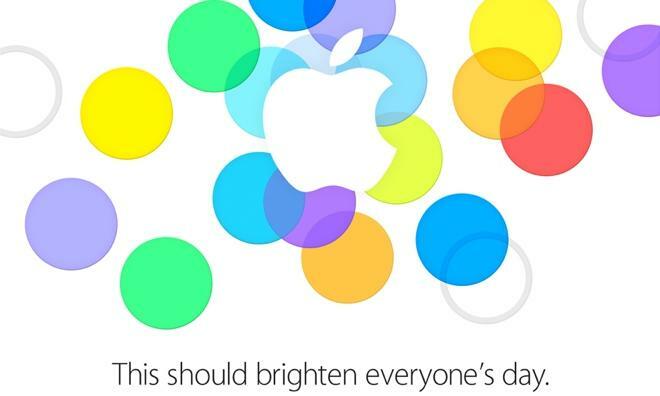 All will be revealed next Tuesday, when Apple's keynote kicks off at 10 a.m. Pacific, 1 p.m. Eastern. AppleInsider will have full, live coverage of the event.